A large arsenal of deadly weapons were found on the Iranian Ship on the way to Gaza. Israeli commandos seized control of a cargo ship carrying dozens of medium range rockets early Wednesday that officials say was bound for Gaza. The ship carried Syrian-made M-302 rockets with a range of up to 200 kilometers – or about 125 miles, Israel Defense Forces say. They would have been capable of reaching nearly all of Israel had they reached Gaza. Hizballah fired similar rockets at civilian communities during the 2006 conflict with Israel. The IDF tracked the shipment as it moved from Syria to Iran, where they were hidden under bags of cement and loaded onto a ship flagged in Panama. Commandos intercepted that ship early Wednesday as it sailed toward Sudan. From there, officials believe the cargo would have been loaded onto trucks to try to reach Gaza through the Sinai Peninsula. "At a time when Iran is talking with world powers, is smiling and uttering pleasantries, it is also sending deadly weapons to terrorist organizations – via an elaborate network of secret operations around that world that aim to funnel rockets, missiles and other deadly weapons to be used to harm innocent civilians," said Israeli Prime Minister Benjamin Netanyahu. "This is the real Iran, and this country must not be allowed to obtain nuclear weapons. We will continue to do everything we must to protect the citizens of Israel." The IDF quickly released a video showing its forces examining the ship's haul. 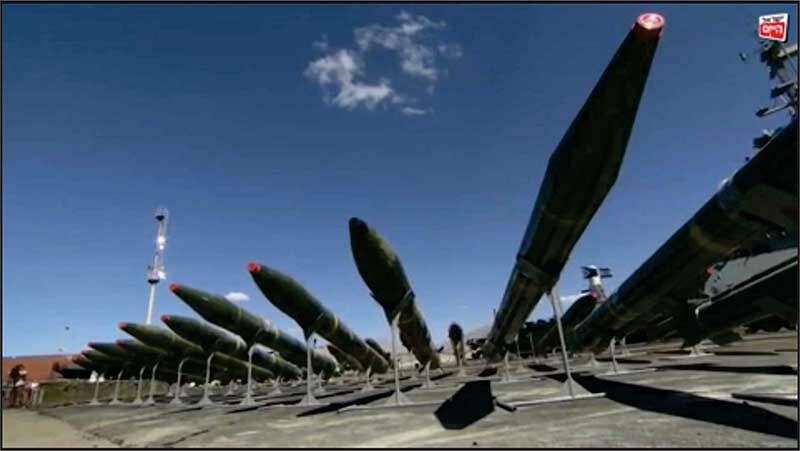 Israel's interception of this weapons cache comes a day after a House subcommittee examined Iran's role as the world's leading state-sponsor of terrorism. Former U.S. Rep. Pete Hoekstra, now a Shillman Senior Fellow with the Investigative Project on Terrorism, testified about the need for the United States to speak with a strong, unified voice against Iranian terrorism. "What happens in Iran doesn't stay in Iran," he said. "It has global ramifications." Israeli Defense Minister Moshe Ya'alon said the intercepted shipment proved Iran was exporting terror "with the express purpose of destabilizing the Middle East.